Note: This is not a sponsored article, I just genuinely think these are the best apps based off of my own personal experience. Its sleek UI and the intuitive step-by-step guiding system offers the best user-experience on the market and is the best tool to use when starting to track cheap flights. Hopper begins with asking for your desired destination and the dates you wish to travel. In less than 5 seconds, you are directed to a colour-coated calendar. Green; “Book Now! This is the cheapest date to fly out.” Yellow; “It’s ok, maybe adjust your time frame or wait longer.” Red; “It’s going to be a no for now.” Even green coloured dates have the possibility of dropping further in price. Hit the watch button and in moments you are receiving real-time push notifications if the price drops or rises. The cute little bunny avatar even predicts how much more the flight will drop or rise in the coming weeks. Hopper focuses exclusively on flights, giving it the user edge — so hit the app/play store, find the pink bunny and download now! 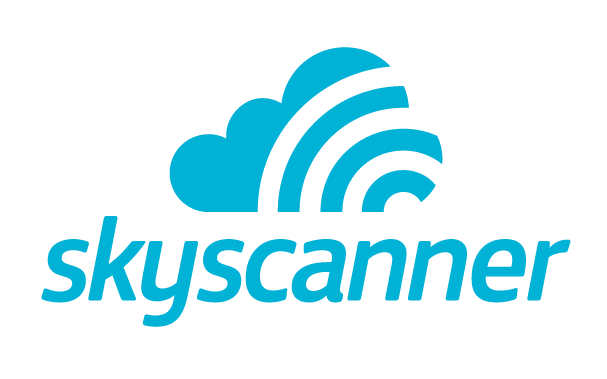 Sky Scanner operates a little like Hopper, but with a less seamless UI and a focus on Flights, Hotels and Car Rentals. It is best to utilize Sky Scanner when booking Multi-City flights, as its system for multiple flights is intuitive and can get you the lowest rate possible. Sky Scanner often lowers its cost the more you view a certain trip (as opposed to Expedia who raises it the more you view it.) If you like to keep your hotel, flight and car rental info in one spot, use Sky Scanner to track and book your next trip. Flight Hub, aka,“the king of banner ads”. Visit the site enough and you’ll have banner ads popping up all over your Google, Facebook and Instagram ­— offering you the lowest price on the trip you just looked at two seconds ago. I booked my April trip through Flight Hub and it was the best decision I ever made. A regular direct flight originally listed between $1500-$1600, dropped to $1200 with insurance and a seat upgrade included, just by booking through a banner ad. I dare you to give it a try! What’s the worse that will happen? You’ll save some money? Don’t let Kayak being last on my list fool you. Kayak, one of the big boys on the block, is the perfect option for those who like to stay loyal to a single travel site. You get lowest listed flights, site comparison, hotels, excursions, car rentals and the whole bit. There is an internal awards system and their customer service is one of the best (I once got a full refund and a free nights stay when my booked hotel in New York turned me away.) With that all said, some people (such as my self) like to use multiple sites to get the lowest possible price for a trip. In addition, Kayak is best used when booking hotel and flight together (a la Expedia) — and in some cases, we are prone to book Air BNB’s, hostels or room shares to keep the price as low as possible. There you have it! Anyone of these apps alone will help your track low flights on the go. While all of them have their strengths and weaknesses, using this entire arsenal of apps together always keeps me prepared for the next big price drop. Did I miss anything? What do you think about my choices? Sound off below, through any of my social media channels or email me directly! Previous post8 Steps to Travel Every Year, Even When You’re Broke! Next postHow Much Will it Cost to Travel to Japan in 2019?